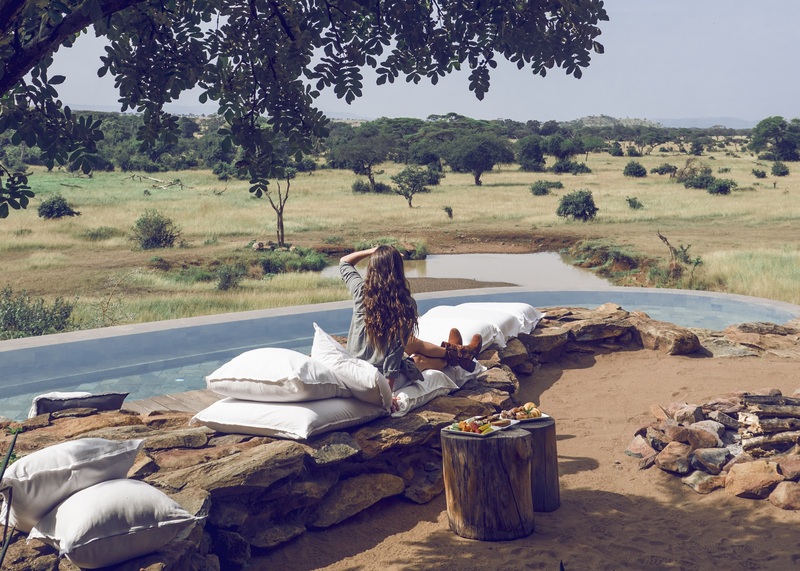 Singita Grumeti Faru Faru Lodge: A place to ‘live in the now’ in a contemporary safari setting out of a home decor magazine. 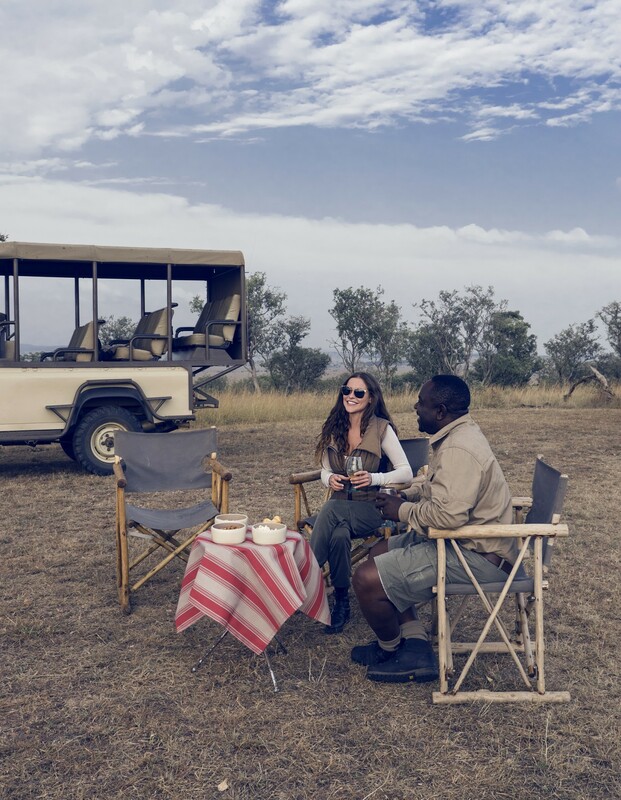 With interiors that wow and wildlife encounters to impress the most seasoned safari goer, Singita Grumeti Faru Faru is the epitome of luxury in the African bush. Set on the banks of the Grumeti River in northern Tanzania, the private reserve forms part of the greater Serengeti ecosystem. Its location on the wildebeest migration path provides guests with a front row seat to the “World Cup of Wildlife” every year. Yet, you don’t have to step into a 4×4 to see animals big and small. A watering hole in front of the lodge is a hangout spot for elephants, warthogs and more! 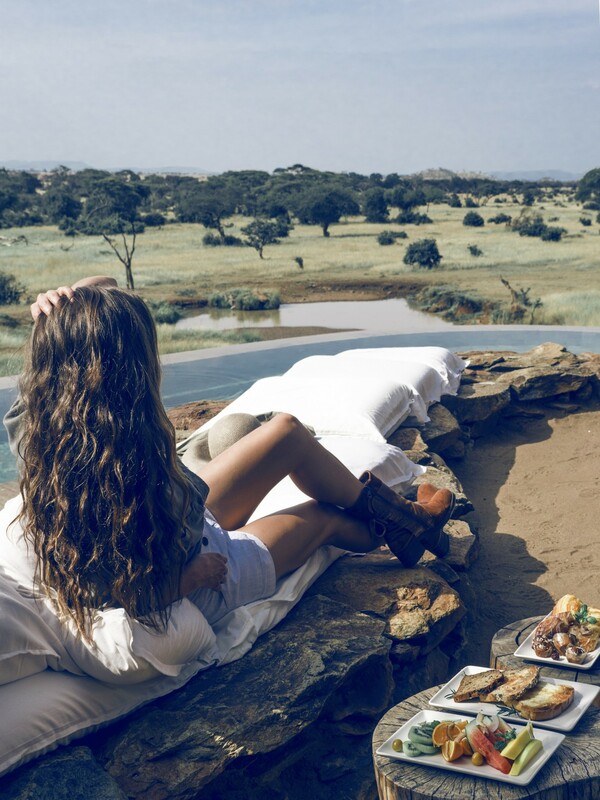 With only 9 suites in total, Singita Grumeti Faru Faru provides an intimate setting to unwind in nature. The air-conditioned rooms are spacious, well-appointed and furnished as if plucked from a Vogue Living magazine. A mix of stone, wood and canvas complete the bush-chic design. My favorite feature, the huge glass walls on one side of the suite, even open to the outdoors with a push of a button. Moreover, guests can clean off the day’s safari dust in the claw footed bathtub or outdoor shower. Looking to really splurge? Choose villa number 9. There are two large bedrooms centered around an ultra-plush and cozy lounge. Plus, a seemingly wrap around deck and infinity pool that overlooks the river. This concept of earthy, understated luxury is also continued in the main lodge areas. Designer seating, stylish lamps, white cushions and African artwork define the living space which blend in with the natural surroundings. As you soak in the contrast of design elements, it’s impossible to not let your eyes wander to the infinity pool just ahead. It overlooks the savannah where animals gather by a watering hole. Elephants, zebra, giraffe and monkeys all stop by to quench their thirst. Not one, but two pool areas have such a view, along with sandy spots that bring you straight to the beaches of Zanzibar. I mean, I don’t think it gets any better than armchair wildlife-watching from your relaxing spot by the pool. 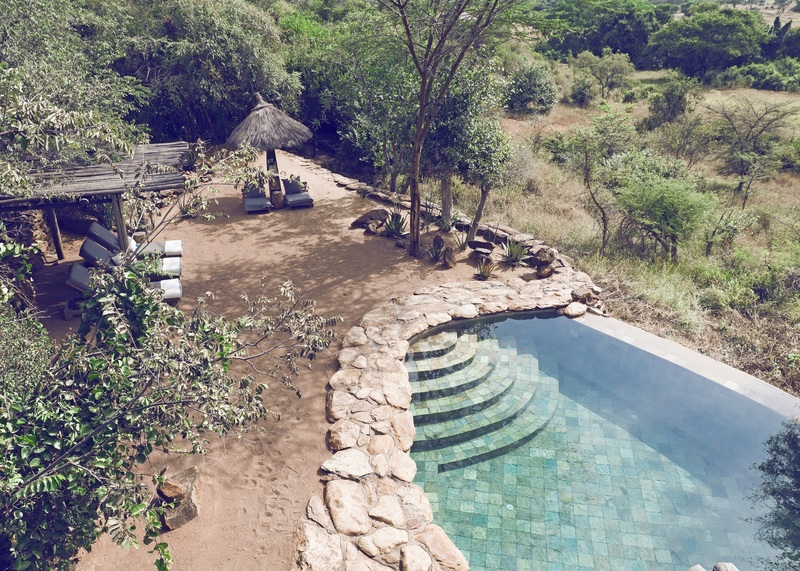 Spanning over 350,000 acres of untouched wilderness, the Grumeti Reserve offers a truly immersive safari experience. 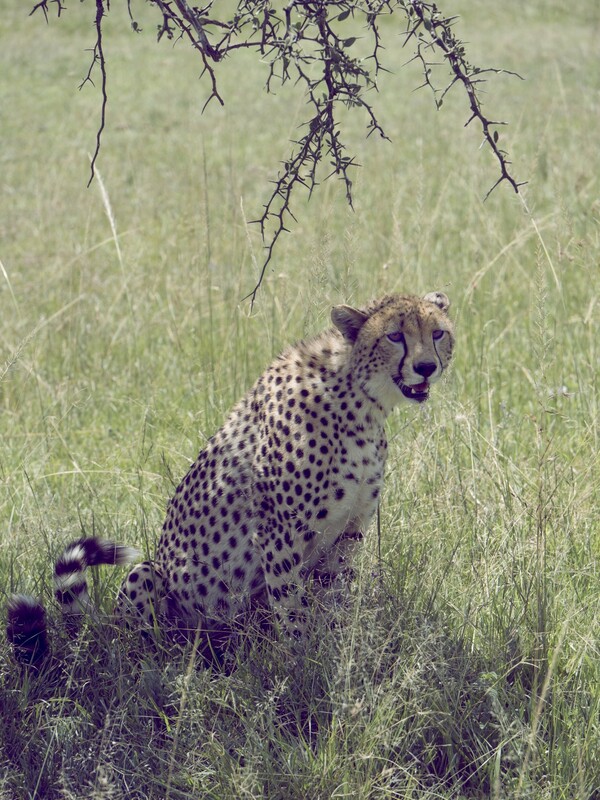 Because of its exclusive-use access to Singita guests only, we were able to get closer to wildlife than ever before. 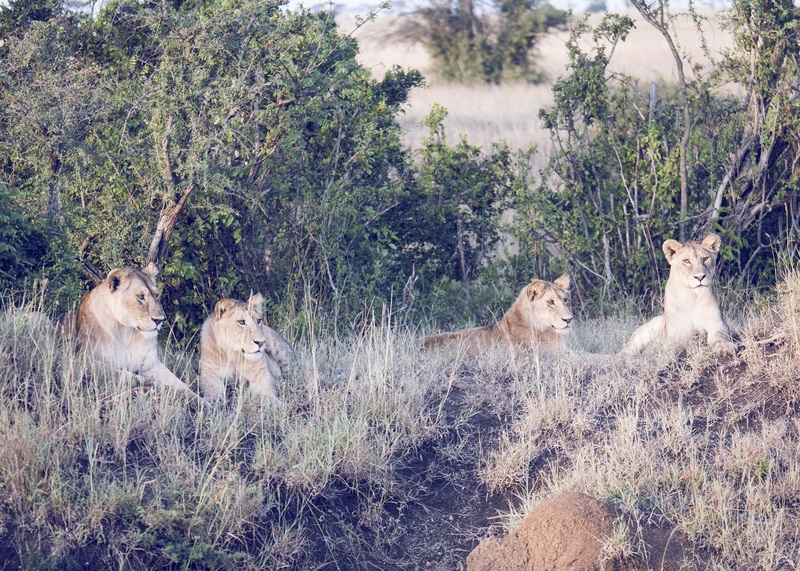 Our expert guide, Anthony, led us to large prides of lions, 1-month-old cubs, cheetahs and a solitary leopard in a tree. Additionally, game drives are twice daily and frequently off-road which betters your chances to see the wild up close and personal. One memorable evening, the staff set up a sundowners surprise in the middle bush for us. 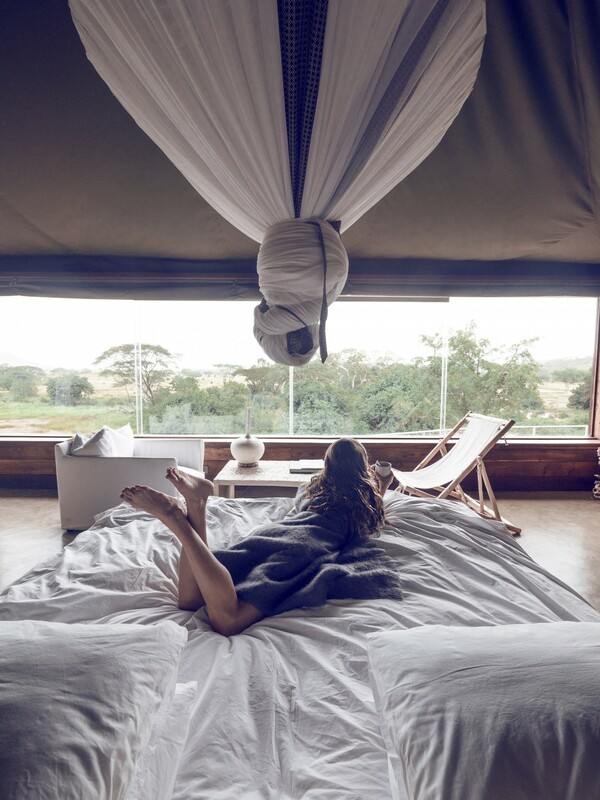 “Expect the unexpected,” says the staff at Singita Grumeti Faru Faru and now I fully understand what they mean. It was the happiest happy hour. And a lovely opportunity to get to know our guide. Private butler – Fabian is the best! Some will tell you that a holiday to Africa is not only about the safaris, but more and more the delicious food and wine. This statement couldn’t be more true at Singita Faru Faru. The food was better than any lodge I’ve ever stayed it. Have a sweet tooth? Be sure to head to the main lodge area between 3-4 pm for afternoon high tea. Singita means “place of miracles” and that is reflective of my experience at Singita Grumeti Faru Faru Lodge. It is a place to dream, be pampered and encounter intimate wild moments. The design-minded lodge sets the precedent of what a high-end safari should look and feel like in the 21st century. 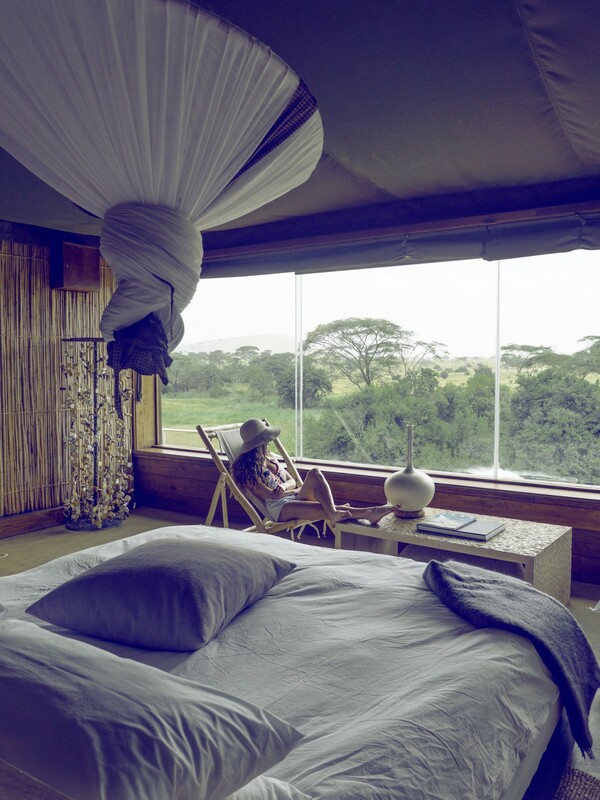 I recommend pairing 2 nights at Faru Faru with an overnight stay at their sister-property, Singita Sabora Tented Camp.